Elevation to ‘fellow’ recognizes an exceptional individual in the field of controlled release who has made outstanding and sustained contributions to the field of delivery science and technology. In considering nominations for fellow status, the Committee of the College of Fellows will consider the length, breadth, depth and impact of the achievements. Fellow candidates working in academia, industry or governmental agencies, and representative of all demographic groups are selected from every area of delivery science and technology. Fellows should have distinguished themselves as leaders in their field through impactful contributions in fundamental or applied research, technology, products, and/or education within the areas of interest of the CRS. Service and leadership within CRS will be considered, but is not a requirement for election to the College of Fellows. Individuals accepting nomination to the CRS College of Fellows agree not only to accept the honour of recognition of excellence but also to make active contributions to the society through their involvement in CRS-sponsored activities. A nomination must be submitted by a member of CRS. 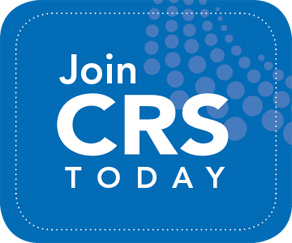 A CRS member may nominate one (1) or more persons for Fellow(s) in each annual call. In addition, there must be a supporting letter written by the nominator and one (1) additional member of the CRS. In addition to returning the completed nomination form. The following items are to be saved into one (1) pdf file and emailed directly to COLLEGE OF FELLOWS and must be received no later than 11:59 PM ET January 15, 2019. Late submissions will not be accepted. Name and contact details of the second nominating sponsor. A 100-word summary citation outlining the case for the award of fellow. A one-page (1) document highlighting the specific distinguished and sustained contributions of the applicant to the fields of delivery science and technology within the past 10 years. In particular, the nomination should show evidence of the nominee’s leadership, discuss key publications/patents and/or industrial/regulatory/managerial contributions by the nominee (e.g. 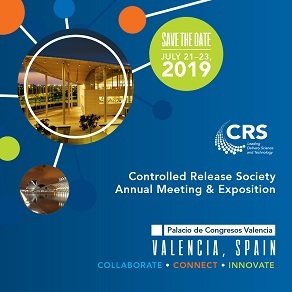 marketed products, creation of companies, leadership in the development of regulatory guidelines, methods and technologies) and, if appropriate, describe the nominee’s service to the CRS (e.g. governance, organization of symposia and sessions, committee participation, editorships). A curriculum vitae (maximum 20 pages) that provides documentation of excellence as described in the two-page summary. The CV should include a list of awards (differentiating team versus singular recognition), refereed and non-refereed publications (indicating when the individual was the corresponding author and which publications were not from a refereed source), patents, invited presentations and grants. Of importance is the documentation of leadership in each of these cited activities. Two (2) letters of support – one from the nominator and one from another CRS member – no longer than one (1) page each. The letter writers should indicate how long and in what capacity they have known the candidate. The letters should address the criteria above, noting the length, breadth, depth and impact of the contribution, and why the contributions would be rated as outstanding. Fellow has the privilege of the designation and usage of "CRS Fellow" and maintain that status as long as CRS membership is current.